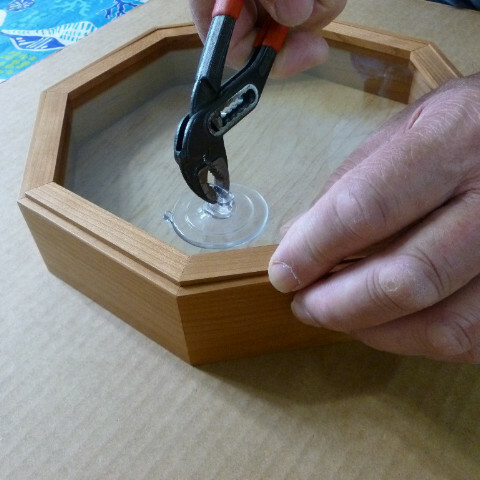 We make our sailors valentine boxes with eight pieces of trim that hold the glass in place in the box. 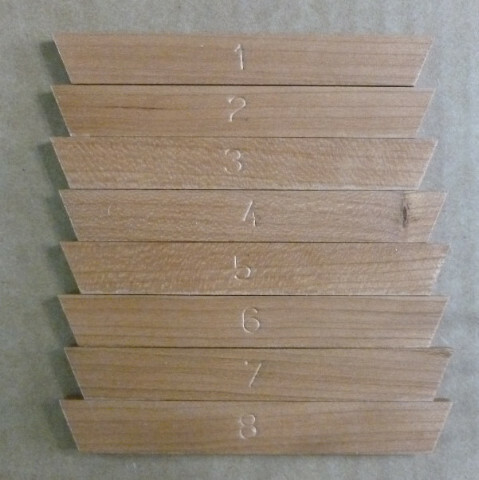 When you purchase a box from us, you can select either tight fitting trim or loose fitting trim. 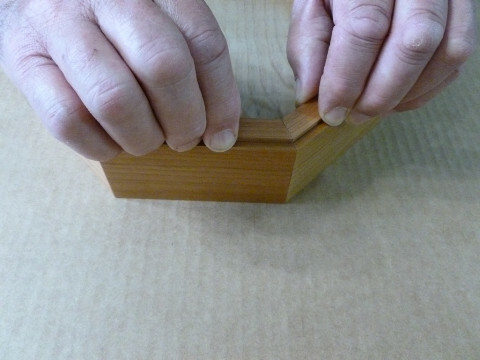 If the trim pieces are too loose, you will be forced to glue or nail each piece of trim into the box. 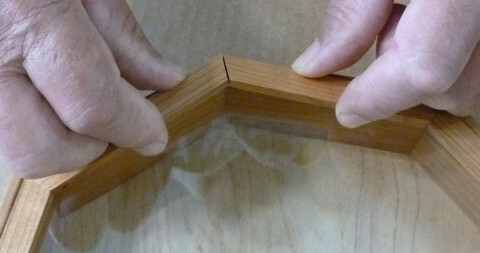 Nails can be unsightly and too much glue can make it difficult to remove the glass once you glue the trim into place. 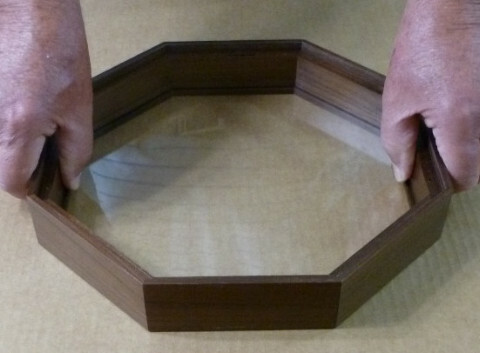 We highly recommend tight fitting trim. 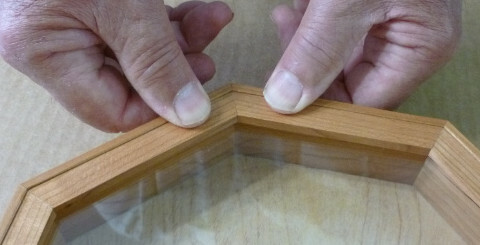 Tight fitting trim will generally hold the glass in place without being glued or tacked into the box; however, if the humidity level in your home is extremely low, then the glass trim will shrink faster than the rest of the box and could become loose enough that the glass would fall out of the box if you have it hanging on a wall in your home. 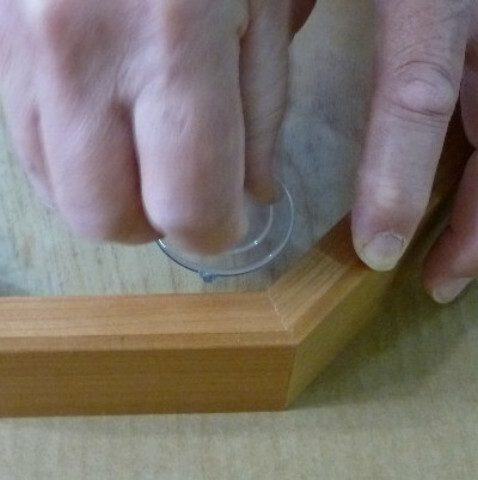 For that reason, once you have completed your sailors valentine, even with tight fitting trim, we recommend "tack gluing" no more than every other piece of trim into the box using a tiny dab of clear silicone near each end of the trim piece. 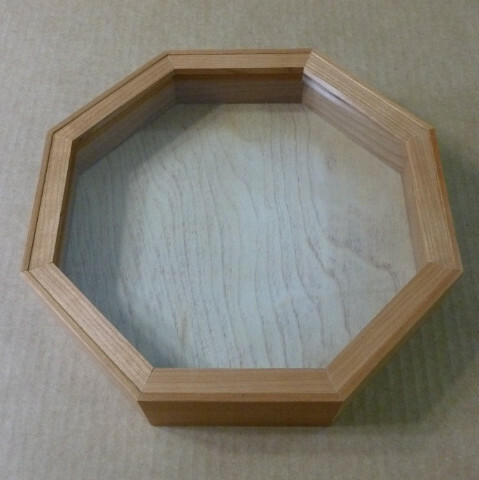 Some of our customers have found that a single dab of silicone on only the top piece of trim is all that is needed on our boxes with tight fitting trim. 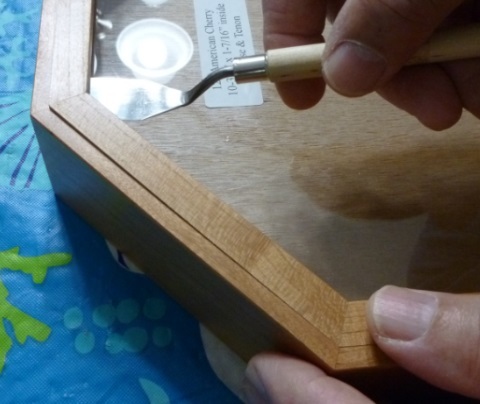 The advantage of silicone over wood glue or all-purpose glues like 527 or E6000 is that you can more easily cut through the silicone with a sharp blade if you're unable to pop the trim pieces out of the box. 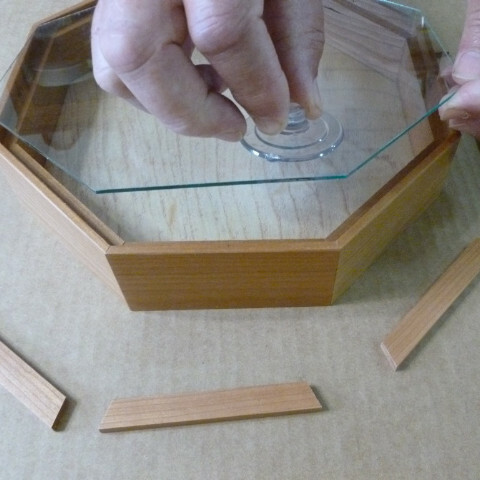 IMPORTANT: If you apply too much glue to the trim pieces, you may be unable to remove the glass without damaging the box. 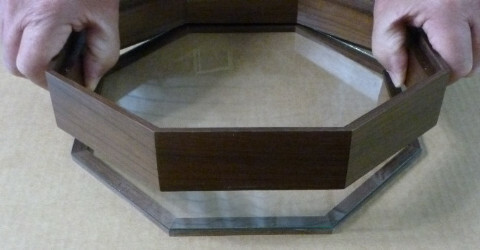 the glass and glass trim installed. 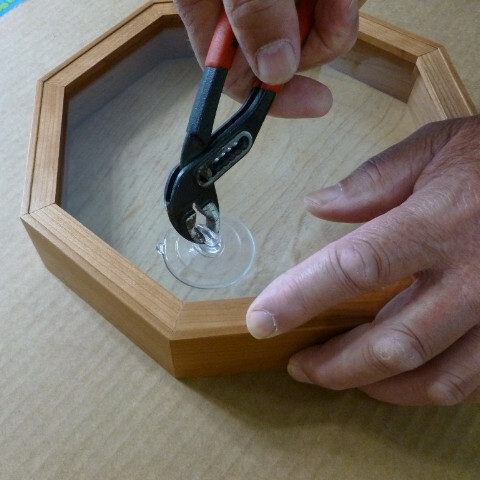 to separate the box from the glass. for $3 at the bottom of this page. Click here for other handy tools. 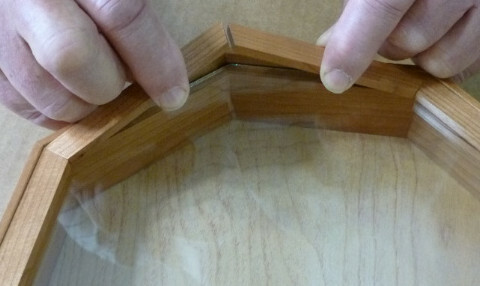 to raise the adjacent glass trim. get a good seal to the glass. while pulling up on the glass. up on the glass from that corner. a few times to loosen the trim. 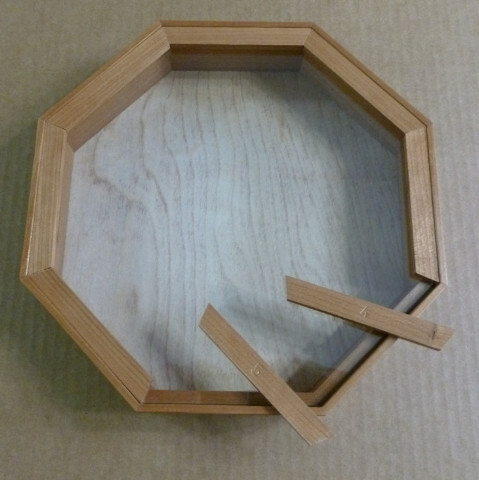 two pieces out of the box. 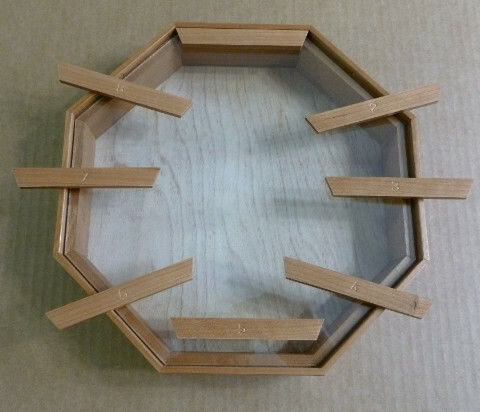 each piece in its proper position. on the glass ledge of the box. adjacent on the left side to #1.